Some time ago I wrote about my interview process trying to get a job at GNOME. After this blog post was published in the GNOME planet, I received a lot of comments from the Great GNOME community. This guided me to take a look to the companies that was looking for GNOME developers and after some interviews I finally get an offer to work on Endless. All the process was online, I've been working from home since 2011 and I want to continue like this. I'm living in Málaga, the south of Spain and I was looking for a remote job. I've a very nice interview process, talking with developers that I knew about from their contributions to free software and these interviews weren't technical, that's a good thing about the free software contribution and the community, if someone wants to know my technical skills, he only need to look to my gitlab or github and he will find a lot of code. These interviews were personal and with some management questions, to know if I'll fit in the team and the company. I did the interview to work directly on the Endless OS, in the desktop team, but after some interviews I ended in other team, working with the Endless OS and all GNOME technology, but in the Hack Computer. The hack computer is an educational project. The main idea is to provide a fully functional computer for kids to be their first personal computer and also provide a way to teach kids to hack. The computer is a usual laptop, with an Endless OS running, and with some extra applications that try to guide kids to explore, modify and finally hack the computer learning in the process about GNU/Linux, the code and that any part of your software can be hacked to make it better, an introduction to the free software and the great world of open source code that you can modify to learn, play or simply because you can. The way to guide kids to learn is like a video game, with characters that will appears in your desktop and will guide you with tips and challenges and after each quest completed the kid will learn something, playing with his computer. If you like this and want to collaborate, we're hiring. The hack computer is built on top of the Endless OS. Endless OS is based on debian and the desktop is a modified gnome shell, but it's not the usual debian derivative, it's based on OSTree. The main difference is that the root filesystem is read only and updates are managed with ostree, that's like a git repository. This kind of Operating System is easier to maintain, because the user can't modify the base system, so this means that he was unable to break it. All user applications are installed via flatpak, so are independent of the OS version and because of flathub you can install latests version of apps without the need to update the full operating system. This is the way that Fedora SilverBlue is trying to follow and is a new way to build and distribute GNU/Linux. I've been working in Wadobo since 2011. I created that company with two college friends to try to continue hacking like we were hacking in the Seville LUG SUGUS and earn money from that, and we did it for a long time. We've been working in free software projects and with free software technology, contributing to the community as much as we can and always trying to free our work. We created some projects that grow up and follow its own path, like the agora voting system, that Edulix (Eduardo Robles) converts in nvotes. The self employment was a really good experience. I've been doing was I want for a long time, taking time to contribute to GNOME and other projects when I need it, because I was the one deciding what I want to do. But in the other hand, I've been stuck in the local consultancy market for a long time. I'm not a business man, I'm a developer and I'm based in Spain, where there is no money inverted in innovation or we was unable to find that money, so we were doing django web apps for a living and spending some time in our interests in the extra time we've. So when I found the possibility to work full time in an innovative project, I've no choice. We'll try to continue with the Wadobo idea, like a group of people interested in free software and new technologies, maybe this will derive into a Linux User Group or maybe in the future someone takes the initiative and build a business around this again. I'm really happy with this change. Endless OS and the hack computer are really great projects with a lot of bleeding edge technology and a really great group of people, and I'm really exited to be able to work with people all around the world in a project with a global vision. I don't want to leave the roots I've here with my Wadobo friends and the local community and local technology ecosystem. This is also related with the Endless vision. Spain, and here in the south, in Andalucía, we've a technological breach that we try to fill with free software. 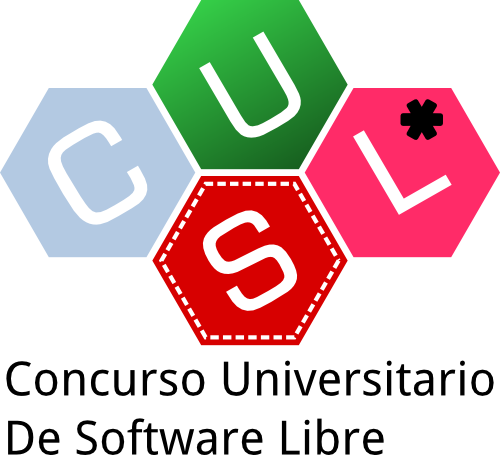 I'll continue working with the Seville University, because they give me a lot and I think it's a talent pool, we only need to guide those students to the GNOME community or to other free software communities out there, to save their souls from the privative software and the dark side. This week I started a new small project called Timetrack, you can find the code in the gnome gitlab.